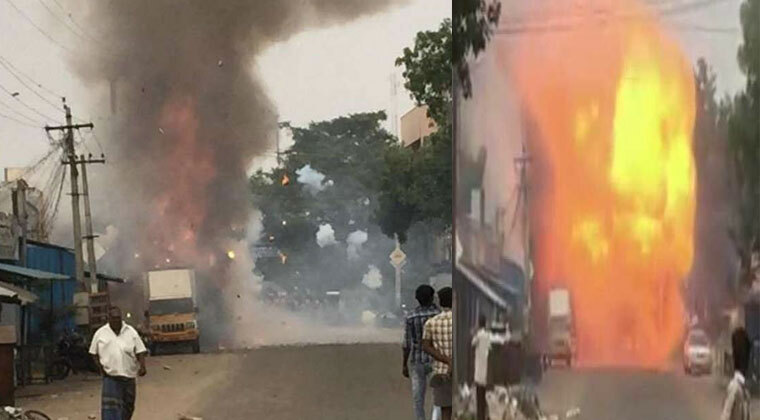 At least 10 people were killed on Wednesday when a fire broke out in a firecracker godown in Telangana’s Warangal Rural district, police said. Fire fighting personnel were at 1.30 p.m. still trying to douse the blaze in the godown near Kotalingala village, about 135 km from Warangal town. About 15 people were reported to be inside when the fire broke out, the police said. Witnesses said they heard huge blasts prior to the fire. Five injured people were shifted to the MGM Hospital in Warangal town. The cause of the fire was being ascertained. Next articleTej I Love U runtime locked!